Editor's Note: This piece was co-authored by Phelim McAleer and Ann McElhinney. In today’s America it’s tough for a politician to do something truly shocking. But it has just been announced that Gov. Tom Ridge, the former head of Homeland Security and Pennsylvania Governor is one of the founders of an apparently conservative lawyers organization called Checks and Balances which they say will "expose President Trump's abuse of the Rule of Law." That’s not the shocking part - lawyers, conservative or otherwise, are of course entitled to organize and protest the president. However what is shocking that one of the founding members of Checks and Balances is the Tom Ridge who when he was governor of Pennsylvania ordered an end to the legally required inspections of abortion clinics. His actions allowed abortion doctor Kermit Gosnell to run a house of horrors where women died and children were butchered. Without the fear of annual inspections Gosnell was able to turn his abortion clinic into a murder factory. Hundreds perhaps thousands of babies were murdered. Several patients also died at his hands. Gosnell is now serving multiple life sentences in a PA maximum security prison but Tom Ridge has never really justified ending the inspections that would have revealed the house of horrors years before the doctor was detected. Ridge’s culpability is spelled out in horrifying detail in the report of the Grand Jury investigation into the clinic. The Grand Jury, who sat for over a year hearing evidence in the Gosnell case described how when he became the Governor of Pennsylvania in 1995, Ridge declared a stop on all the normal ‘checks and balances’ inspections of abortion clinics. This is despite it clearly being stated in PA law that all abortion clinics must be physically inspected annually. Where were these principles evident when Ridge was the Governor of Pennsylvania? “Power of truth” “Individual rights” Where? It’s galling. His refusal to follow the law and enforce PA Checks and Balances cost lives. Semika Shaw, a 22-year-old African American mother of two, died of a botched abortion in 2000 and no one from Tom Ridge’s Department of Health bothered to investigate her death, no one crossed the threshold of 3801 Lancaster Ave. Where was Gov. “Checks and Balances” Ridge? Eight years later in 2008, Karnamaya Mongar would die after an abortion at the clinic and still no one inspected the clinic. Mrs.Mongar was a refugee from Bhutan, she had lived in a tin hut for 20 years in a refugee camp in Nepal before finally getting a chance at a new life in America. She was dead 4 months later. The culture, ushered in by Ridge, of allowing abortion clinics run amok with impunity lasted 17 years. Tom Ridge didn’t want abortion clinics inspected and they weren’t, even though the law clearly stated that they should. The uninspected clinic at 3801 Lancaster Ave had cats in the treatment rooms, single use instruments were reused, toilets were blocked up with the remains of murdered babies, there was a smell of human waste, the staff were untrained, many had psychiatric issues, most had a 7th grade education, the chief anesthesiologist was 15, resuscitation machines were broken, as were the weighing scales, so patients receiving anaesthesia couldn’t be weighed. In the kitchenette there was a collection of severed babies feet in jars. 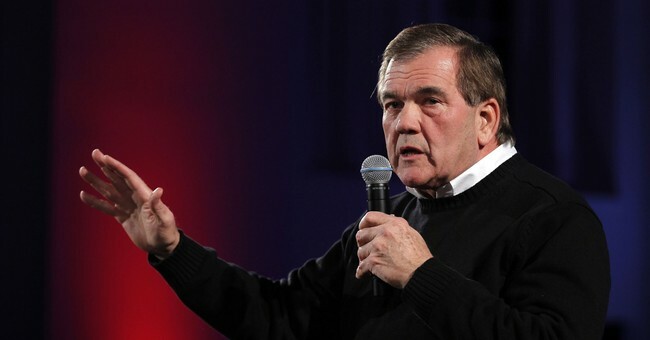 Where was Tom Ridge, the self styled champion of justice and individual rights? Semika Shaw and Karnamaya Mongar needed a champion for justice, for someone to defend their rights. Tom Ridge was not that man then when it would have mattered, and his words now are worse than hollow - they are an insult. Tom Ridge didn’t care about Checks and Balances then. He has never given an adequate explanation for his decision to end the inspections and has never apologised to the families of those who died as a result of the lax regime he initiated. Gov Ridge has now set up a group of lawyers who are demanding accountability from President Trump. Perhaps the group should make that demand of their founding member before they turn their sights on the White House. Now that would be some real Checks and Balances.